Each year in May we have one of our best sales of the year...EARRINGS! This year as a special treat we are also including BRACELETS in this special sale. 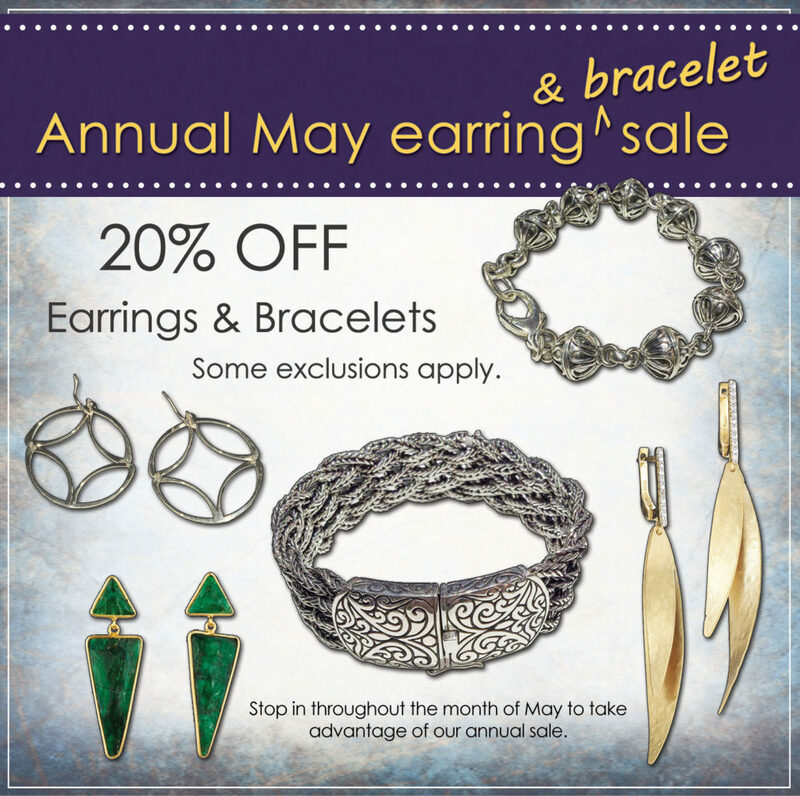 All through the month of May in-stock earrings and bracelets will be on sale. Stop in today!